What is the center of the Earth made of? Professor Lidenbrock is convinced that he will be able to reach the center of the Earth due to his assumption that Earth could not have a hot liquid core, which, unfortunately, is not true! Professor Lidenbrock mentions the hypothesis of an English chemist, Sir Humphry Davy, once prominent in the 1800s, which was the period when this book was published (1). Davy argued that if Earth possessed a liquid core, that also meant that, just like the sea, it would be subjected to the moon’s gravitational force. As a result, just like tides that affect sea level, according to Davy, the Earth would experience periodical earthquakes. Since such earthquakes did not occur, Davy concluded that, as Professor Lidenbrock puts it, “this liquidity could not exist” (1). Davy’s reasoning, however, turns out to be inaccurate. The moon’s gravitational pull is too weak to generate noticeable seismic activity. The earth itself has two cores: the inner solid core and the outer liquid core—proven by countless seismic tomography studies (2). The state change of the Earth’s core is due to the increase in pressure, causing the inner core to be in solid form as the high pressure binds its atoms strongly together. Earth’s core—both outer and inner—is composed mainly of nickel and iron and serves as one of the Earth’s internal heat sources, contrary to Davy’s—and Professor Lidenbrock’s—assertion that “the earth was heated by the combustion of its surface and nothing else” (1, 2). Visual representation on what we think the Earth's interior looks like, based on what we know from seismic tomography. How deep can we go inside the Earth? Professor Lidenbrock claims to have reached a depth of 142 km—or 88 miles—below sea level (1). Is that actually possible? Note here that the title Journey to the Center of the Earth is actually rather misleading, since the core—or the center—of the earth does not begin until 2,900 km below the surface. A depth of 142 km corresponds to the depth of the Earth’s mantle, or the asthenosphere to be exact, in which the temperature and pressure are high enough to make the rocks ductile, which in turn act as the driving force for plate tectonics and mantle convection (3). That being said, how deep into the surface have humans managed to access? As for now, there is not yet a material durable enough to protect humans from the extremely high heat and pressure of the Earth’s interior. Though it seems that we could never reach such a great depth in person, the Japanese drilling vessel Chikyu holds the current record of the world’s deepest scientific drill, working its way to a depth of 7.7 km below sea level (or 2.2 km below the seafloor) (4). As a part of the Integrated Ocean Drilling Program (IODP), Chikyu is designed to ultimately reach the Earth’s mantle by drilling a hole 7 km below the seafloor. (no? since it can only drill 2.2 km below the seafloor.) Scientists hope to gain a better understanding of the Earth’s interior and potentially discover deep-earth life forms from this project (5). Considering the extremely high cost of $1 billion, however, it’s still in the process of acquiring the much-needed support and funding. Can we at least go inside a volcano? Since it would be impossible to descend towards the center of the Earth as deep as Professor Lidenbrock and Axel, can we recreate just a fraction of their entire journey? Let’s say, could we at least reach the interior of a dormant volcano? The good news is yes, you can! As a matter of fact, it has become a quite popular tourist destination in Iceland. For ISK 37,000 (equivalent to around $324), you can descend 120 meters into the gigantic magma chamber of Mount Thrihnukagigur in Iceland, whose last eruption occurred four millennia ago (6). And by “gigantic”, I mean the size of three basketball courts with a ceiling so high that the Statue of Liberty can even be placed inside (7)! However, this doesn’t mean that we can enter all magma chambers of inactive volcanoes. What usually happens after an eruption is that the lava cools down and becomes rocks, thus blocking the volcano’s crater (6). Mount Thrihnukagigur, on the other hand, is an anomaly. Experts believe that the lava either cooled on the walls or left the magma chamber through another vent. 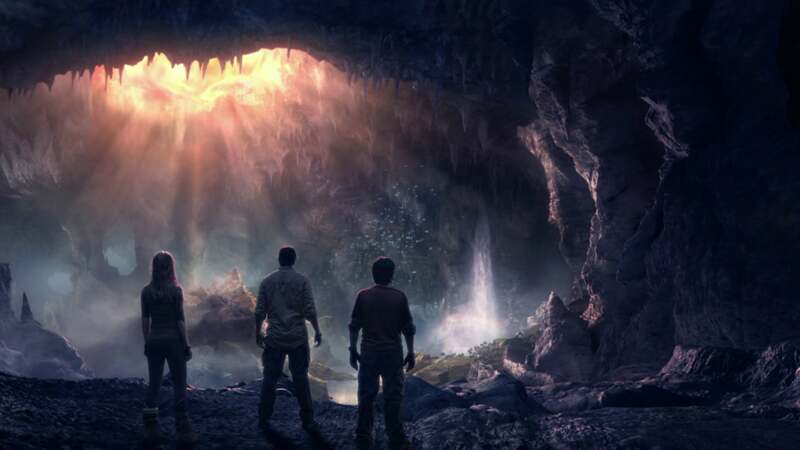 Just like Verne’s other notable works, Journey to the Center of the Earth has inspired many different creative projects: movies, TV shows, and even amusement park rides. The only Icelandic Nobel laureate to date, Halldór Laxness, also included some references to this book in his novel Under the Glacier. While it’s true that quite a lot of the science featured in this book may have been proven inaccurate, it definitely hasn’t lost its charm today. Verne J. Journey to the Centre of the Earth. London: Penguin Books Ltd; 2008.